A good bathing and drying job is easily 50% of a great groom and 100% of many! The bathing room has been the starting point for every successful stylist and the active salon needs to pay more attention to this important position. With an emphasis on safety and efficiency, Teri guides this fun and informative all-day seminar through an average day in a busy salon. Safe handling practices and a keen focus on time-saving tips and techniques will help save time and improve the finished work. This seminar is a real eye-opener for the groomer technician as well as a lesson in efficiency for the seasoned salon owner. From check in to check out, integrating a salons’ bathing staff into the check-in and prep process gives them responsibilities that will make a busy salon hum like a well-oiled machine. This session will include the efficient use of tools and safety restraints and tasks such as nail trimming, ear cleaning and brushing. Safety and comfort of the pet, dematting techniques and tools and their proper use will be presented. Teri will take a “groomers-eye” look at shampoos, conditioners and sprays and why they work. Quick, efficient bathing and proper application of the products you use can make all the difference in the feel of that coat at the end of the groom. Teri will discuss the proper use of the equipment as well as different drying techniques. You will learn to dry coats quicker to help you get a better scissor finish. As a groomer you want to provide the best grooming products to your clientele. With the number of products on the market the options for grooming are confusing and are not all equal. New regulations are causing reformulations in various products. The reason for some of these changes will be discussed and how this can either improve or decrease the quality of the grooming experience. Concepts such as percent solids, fragrance levels, various conditioning agents, and preservatives will be discussed and how they relate to the various grooming products. Kelly Knight, Groom Team USA member and Abstract Runway specialist, will show you how to get amazing results on any coat. Learn how to use the right product for the right purpose and transform your grooming. She will talk shampoos as well as after bath products to add volume, texture and fullness to even the not-so-great coats. Trends may come and go but accessories will always help increase profits. Good grooming is important and accessories can be the finishing touch that will keep your customers coming back and set you apart from the crowd. Bows are not the only accessories these days – hats, feathers, dreadlocks, bow ties, fascinators, eyelashes, nail polish, bandannas, scarves, and a touch of color are just a few of the options available. In this seminar you will learn how to dazzle your clients and show your involvement in the community. Having problems with bows? Delise will show you fast and easy methods of attaching bows. Let’s get creative! How do we determine our own salary? We all want to know the answer to this question. The answer is in your budget! This class will walk you through the process of creating a business budget for your salon based on a sample budget. We will discuss paying hourly vs. commission, staff, benefits, and retirement. We encounter fragrances in our own personal care products as well as in the grooming products we use for our pets. As a groomer, you want to entice return users to your salon so that the lingering fragrance leaves the pet parent with a positive experience. When properly blended, these fragrances can be pleasing and leave a lingering essence on the coat and hair of your pet. The Fragrance Wheel will be discussed and how it is used by fragrance houses to put desirable fragrances in your pets’ products. Fragrance “Notes” will be discussed and some popular fragrances used in grooming products will be broken down into their individual notes. A real fragrance blend will be broken down during an on-site odor evaluation. When starting her feline-exclusive grooming business, Danelle German realized there were obstacles standing in the way of getting clients to want a full groom for their cats and getting them on a regular maintenance schedule. Along the way, she learned many valuable lessons on how to get cat clients, how to maximize the potential of each groom visit, and how to retain clients long-term. Today, her daughter grooms the cats of many of her original clients from over a decade and a half ago. In this seminar Danelle will share the tactics she has used over the years to develop a healthy and growing number of regular cat clients willing to pay top dollar to keep their kitties in fantastic condition! 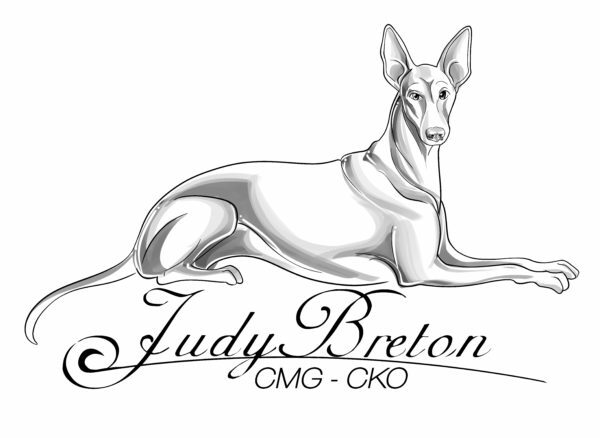 Linda has finished multiple championships on breeds such as Newfoundlands, Australian Cattle Dogs, Pekingese and more. Let her share her secrets for easily maintaining double coated dogs. Groom these dogs without clipping, with minimal brushing and minimal stress. Even the largest, dirtiest dog can be done quickly and easily with techniques she has developed over a lifetime of working with these types of dogs. 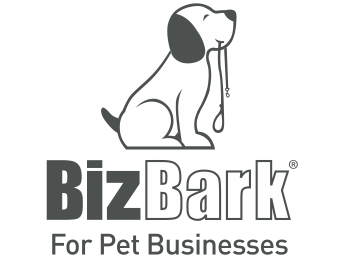 Are you better at interacting with the dog or cat client than you are with the human customer? Do you wonder why the client only requests the bare minimum of your services and that it always seems like money is the determining factor? How much interaction do you have with your human client? Utilize your inner power, charisma, and sales ability to increase your success. Learn how promoting services and packages such as aromatherapy, thematic fragrance combos, and specialty products will make your business innovative and profitable. Learn ideas on improving your customer service and body language, you’ll be glad you did. Are You an Employee or an Independent Contactor? This has been an ongoing dilemma in the pet grooming industry for years. In an effort to avoid excessive taxation some groomers, or employers, resort to some pretty creative employment policies. While they may solve issues in the beginning, alternative tactics can really become a huge can of worms for everybody. Misclassified employees can cause financial hardship on all fronts but, with a little bit of knowledge and understanding, issues can be easily avoided. Teri will spell out the pros and cons in black and white. This class is sure to be an eye opener on all fronts. Learn how to take care of your most valuable tool: your body. Hand, wrist, and back problems devastate the grooming industry. Dr. Jim has proven tips and techniques and doctor secrets to help you prevent, manage and survive these common problems. If you are a beginning groomer, or have been grooming for decades, this expert level class can save you pain and money and keep you working comfortably. Dr. Jim has 36 years’ experience dealing with hand, wrist, and back problems as a doctor, teacher and being the “doctor’s doctor” around the world. Knowledge is power! Often we encounter scenarios within our everyday grooms that we’re not sure how to handle. We encounter issues with the coats of our furry clients, issues dealing with their owners and dealing with employees. In this open forum, Jonathan will lead a discussion of the most commonly encountered problems we face on a regular basis and attendees can listen to and share their own experiences as well as learn from Jonathans’ own experiences from his 27 years in the grooming business.